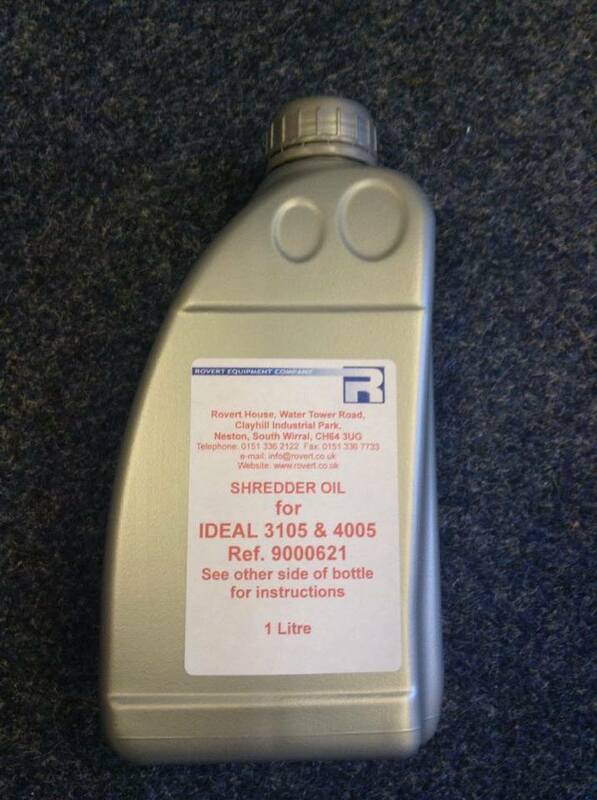 IDEAL Shredder Oil for Ideal Self Oiling Shredders. 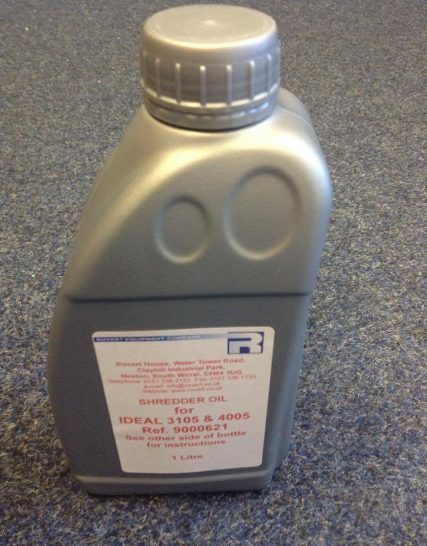 Rovert Equipment. 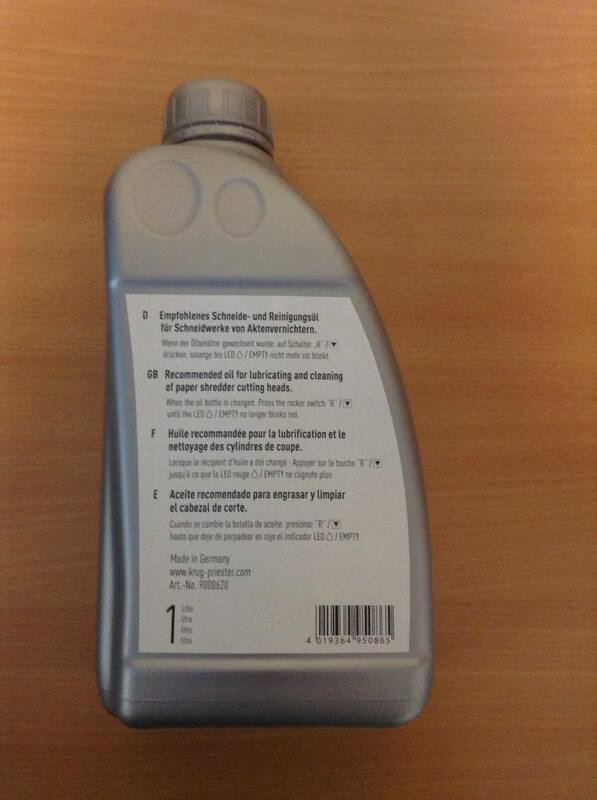 This IDEAL shredder oil (1 litre bottle) is for the IDEAL branded self-oiling shredders that slot into the sides of the machine. 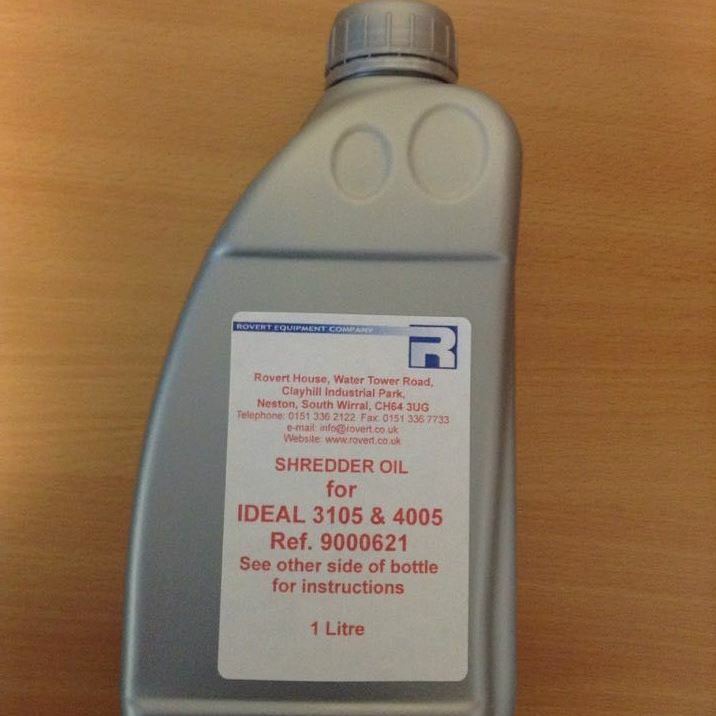 We advise that shredders should be oiled regularly to ensure that they are being maintained and stay in a good working order. 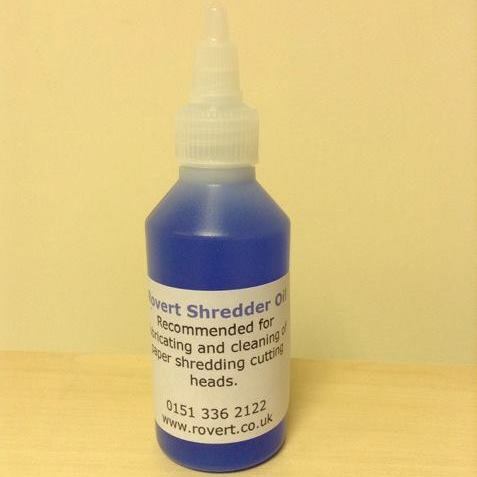 Designed to enhance the running of your shredder to help it run smoothly and effectively. 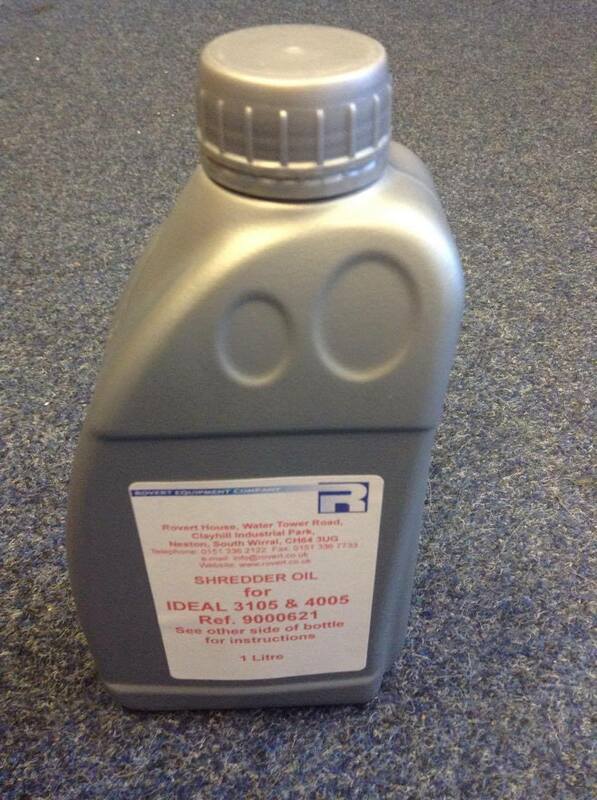 This shredder oil is designed to work with the IDEAL Self oiling range of shredders. 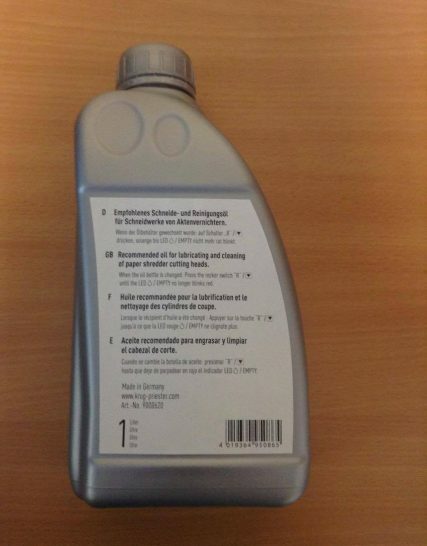 This bottle it to replace the bottle on the side of your shredder.